The rapid growth of club wrestling in recent years has brought numerous positive impacts to scholastic wrestling. Year around training under the guidance of highly skilled club coaches, as well as personal trainers, has raised scholastic wrestling skills to unprecedented levels. However, the onset of club wrestling has also produced some negative effects. These have created an urgent need for scholastic coaches and club wrestling coaches to partner together in efforts to eliminate negative impacts and promote harmony within the wrestling community. Disunity and rivalry between scholastic coaches and club coaches sometimes creates damage to the sport and emotional chaos for wrestlers and coaches. Sports like gymnastics and swimming have also experienced a need for cooperation and there is a strong need for a healthy alignment between scholastic and club programs in all sports. Scholastic coaches and club coaches need to be aware of inherent differences that can cause needless conflict within the wrestling community. At the center of this friction are the most talented wrestlers and claims over who gets the credit for their achievements. Controversial incidents stirring resentment in the scholastic community have occurred, such as wrestlers appearing at the top of the scholastic state championship podium wearing club apparel. For business reasons, club coaches often claim credit for the development of successful wrestlers who have trained with their club. This sometimes occurs through aggressive advertisement in club brochures with the intent to recruit additional wrestlers to join their club. 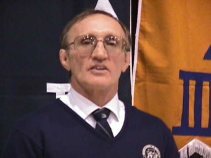 In the process, these claims may cause scholastic coaches to react defensively and guard their reputation as a leader in their wrestling communities. With this potential for conflict over credit, sensitivity and humility are necessary to develop a strong working relationship between the club coach and the scholastic coach. Numerous other differences exist between scholastic and club coaches. First, the club coach operates through a perspective of individual training, while scholastic coaches are more interested in team building and the development of systematic technique. Scholastic coaches worry about diminishing team loyalty and prefer that their wrestlers associate and train together. Club coaches promote specialization and year-around wrestling. Scholastic coaches may be involved coaching other sports and believe that multi-sport participation is more educationally sound. Coaches of other sports take the same view and may discourage any of their athletes from wrestling. Economic interests through the achievement of athletic goals drive club coaches since coaching is their primary occupation. Scholastic coaches make their living through another occupation, such as teaching, and coaching wrestling is limited to an avocation. Belonging to an educational institution and being attached to academic regulations, scholastic coaches place a high emphasis on academic priority and view wrestling as an educational tool. With each group operating in its own perspective, self-interests, resentment, rivalry, suspicion and conflict can arise and lead to divisiveness. With conflicting self-interests and perspectives driving both groups, incidents can occur that increase resentment and unfortunately, the wrestler is caught in the middle. At times, the wrestler is forced to choose between contrasting technique styles and philosophies. The lifestyle and personal values of the scholastic coach and club coach may also contrast. Multi-sport athletes may resent wrestling teammates who quit other sports in order to specialize in year around wrestling. Economically distressed teammates can become envious at the opportunities they cannot afford and express bitterness. They may conclude that wrestling is “a rich kid’s sport” and decline to participate. Parents who have invested much money in club training may be influenced into negative alliances that harbor ill will and disrespect toward scholastic coaches. Rumors about a club-oriented teammate transferring to another school may deepen resentment and threaten team unity. The wrestler caught in the middle of these competing social attitudes may become emotionally and psychologically confused. Which coach does he listen to? Will he offend one in the process? Which coach does his parents prefer? How does he react toward his scholastic coach if disrespect for the scholastic coach is a motive for parents sending him to club wrestling? The answer to the dilemma between scholastic and club wrestling is found in the words cooperation and coordination. Both sets of coaches should respect the right of the other to organize and operate his program. Conflicts do not benefit any of the parties involved and must be avoided. The common ground of a scholastic coach and a club coach is the well being of the wrestler and the sport. The wrestler and sport should benefit from both programs! If each coach is to achieve organizational success, the sport must be healthy and wrestlers need to be retained. Scholastic coaches and club coaches must understand their mutual need to cooperate. They need to respect the rights and worth of each other’s programs and align their programs so that they mutually reinforce one another. Egos and narrow self-interests should not be involved. Both should listen to the concerns of parents and wrestlers and communicate those shared concerns. Derogatory comments by scholastic or club coaches should never be made to wrestlers or parents. These will only inflame any negative attitudes that may hurt all parties involved. Jealous rivalry and power plays bring negative results for scholastic coaches, club coaches, wrestlers or the sport in general. The overriding operational guideline for both sides should be what is in the best interests of the student-athlete. These interests must consider the total person, academically, socially, emotionally, physically and athletically. The overriding framework of all practices by club and scholastic coaches is to create situations where everybody benefits. Maximum benefits will occur when conflicts are minimized. Club coaches should take great care to avoid conflicts over sensitive issues. If conflicts do arise, they should be dealt with in a professional manner. The healthy club coach / scholastic coach relationship should be one where each views themselves as a team. A club coach who trains wrestlers from ten different school districts should contact each of their scholastic coaches and express a sincere desire to help them improve their programs. The needs and concerns of shared wrestlers should be discussed and evaluated in an ongoing manner. These ongoing communications could occur through organized meetings, phone calls, e-mail, or informal conversations. Practice times should not collide. A wrestler should never be forced to choose between attending scholastic practice or club practice. Nor should a wrestler be required to choose which coach he should listen to while competing. Club coaches who are not approved as official representatives of the school district should stay away from wrestlers during interscholastic events. Club coaches should restrict their comments to the club environment just as scholastic coaches should confine their role to the scholastic environment. Out of concern for both ethical behavior and the welfare of the wrestler, club coaches need to restrain their comments until the wrestler attends the next club practice. Wrestlers need to clearly understand that their first priority in-season must be directed toward loyalty to their team and the scholastic coach. They also need to recognize that they must not allow wrestling to interfere with other areas that are critical to their long-term personal development. On the other hand, scholastic coaches must recognize the right and benefits that a wrestler may gain through club participation. The scholastic coach should be willing to cooperate with club coaches and form a partner relationship with them. High school coaches should never hold their positions as leverage to control and limit the options of athletes. Scholastic coaches must come to accept the reality that some talented and highly motivated wrestlers want additional instruction and quality workout partners. A wrestler who is in good academic standing and not threatened by a current injury should feel free to attend club practices during the evening or Sunday afternoon. The scholastic coach should make efforts to familiarize himself by attending some club practice sessions and getting to know the technique and philosophy of the club coach. Time spent with the club coach can promote better relationships through the recognition of common interests and goals. The scholastic coach should honestly communicate any conflicts that he feels may be detrimental to achieving training and competition goals for the scholastic season. Disagreements with club coaches should not be aired to wrestlers, parents or the public. If there are several wrestling clubs in the area, the scholastic coach should make every effort to present an objective evaluation that allows wrestlers and parents to make decisions that are based on individual needs. The scholastic coach should be willing to encourage and support off-season competition goals. This can include fundraisers to send local wrestlers to state and national freestyle or folkstyle events. The result of working together should be the development of an alliance that benefits everyone. It is a fact that club wrestling has become a permanent part of our youth wrestling culture. Both club wrestling and scholastic wrestling have the potential for positive and beneficial experiences for wrestlers. Coaches must understand that some conflict is inevitable but cooperation in aligning their programs and exerting control over wrestlers will reduce conflict to a minimum level. Scholastic and club coaches need to establish enduring professional relationships that are based on respect, honesty and mutual interests. The primary concept is that everybody in the wrestling community benefits through cooperation and working together. Club coaches acquire scholastic wrestlers to train with their club. Scholastic coaches gain by having their team members improve their wrestling skills in the off-season. Wrestlers benefit by having access to an environment that provides quality-training partners and coaching talents that enable them to pursue wrestling excellence. Fans benefit by the opportunity to watch high quality and entertaining wrestling. Let’s keep cooperation and unity in the wrestling family!